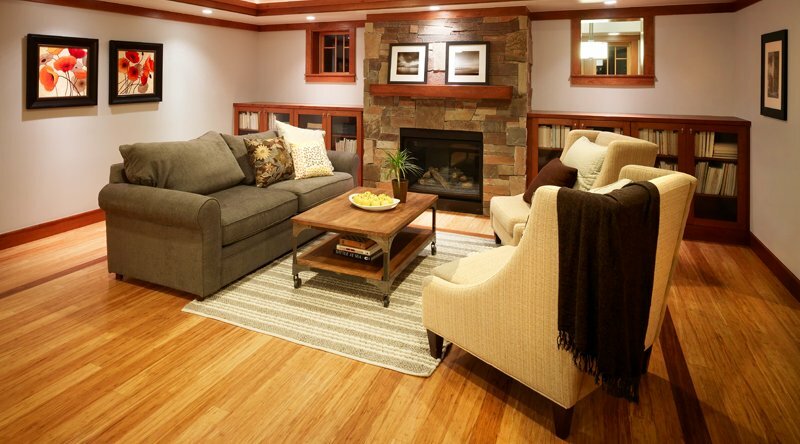 Home › Flooring › How are Bamboo Floors Different from Hardwood Floors? How are Bamboo Floors Different from Hardwood Floors? Bamboo flooring is gaining popularity in the United States thanks in part to the green movement which seeks to protect the Earth’s natural resources. Since bamboo is a highly renewable resource, regenerating in as little as 5 years, it is considered a wonderful green alternative to hardwood floors. And many people love the fact that bamboo offers the same warmth and elegance of traditional hardwood floors. But how does bamboo differ from hardwood? Let’s find out. Bamboo differs from wood in some of its basic biological structures. The resins that concentrate the tissues of wood and bamboo, giving them strength and density, are called lignins. Bamboo’s lingnins are heavily concentrated in vascular bundles and believe it or not, actually rivals steel. However, the tissue in between these vascular bundles is generally weaker than tissues in most hardwood species. In bamboo, the strong fibers are clustered at the outer wall of the stalk whereas in hardwood, these fibers are distributed more evenly. Since there are numerous species to choose from with hardwood flooring, you will get a variety of unique looks, feels and patterns. Hardwood also comes in different grain consistencies and grades of wood. There are also various species of bamboo and many will offer a lovely soft, golden color to the untreated planks. This look is valued by many high end designers as it makes a space feel light and airy. Beyond its natural color, bamboo offers a very exotic and unique look not found in hardwood planks. The natural striations of the bamboo stalks add charm and whimsy to bamboo floors that you simply won’t find in hardwoods. Bamboo can also be stained in an almost endless array of colors and be treated to give it a worn, antique look. In a neck to neck race, bamboo definitely pulls ahead of hardwood as far as pricing. Hardwood planks don’t have a consistent price point. You can purchase some at $3-$5 per square foot and for others pay as much as $10 per square foot. Bamboo, as a general rule, is more consistently priced ranging from $2-$5 per square foot. Although you can sometimes find it for less than this: buyer beware – you will run into a much lower quality floor. Hardwood floors biggest advisory is moisture. You can try to seal it and finish it as best you can, but at the end of the day, it will succumb to liquid penetration. Hardwood is also very susceptible to the growth of mold and mildew and if flooding should occur, your floors can rot. Because bamboo is actually a grass and not a wood, it is much more resilient when it comes to spills and moisture. Now, we’re not suggesting you pour buckets of water on your , they will definitely experience damage. But compared to hardwood, bamboo will stand up against moisture much better. In fact, bamboo naturally repels mold and mildew and even insect infestations.